One of Miami's infamous "cocaine cowboys" has been deported from the United States following his release from prison last year, authorities said. NBC 6's Laura Rodriguez reports. One of Miami's infamous "cocaine cowboys" has been deported from the United States following his release from prison last year, authorities said. U.S. Immigration and Customs Enforcement officials confirmed Monday that Augusto "Willie" Falcon was removed from the U.S. to the Dominican Republic on Nov. 6. "He was notorious," said Chief Nelson Andreu, a former homicide detective with the city of Miami who investigated a series of murders involving the "cocaine cowboys." Andreu said he was surprised Falcon ended up in the Dominican Republic instead of his native Cuba. "Never in my wildest dreams would I think that he’d be deported to the Dominican Republic," he said. "It’s a vacation place. People go there, I've been there on vacation. And I suspect, I don’t know, but I suspect that there are still assets that he has squandered away somewhere." Falcon took a plea deal in 2003 and was sentenced to 20 years behind bars but was released from federal prison last year and immediately taken into ICE custody. "I think it is a chapter closed. Is the book finished? I don’t know, because who knows what could develop, and something may develop out of this in the DR with Willie’s return," Andreu said. Willie Falcon, his brother Gustavo, Salvador "Sal" Magluta and others were originally charged in a 1991 indictment that claimed they were involved in a major cocaine smuggling operation in the 1980s. The gang purportedly smuggled at least 75 tons of cocaine into the U.S., earning some $2 billion during the hyper-violent "Miami Vice" era. 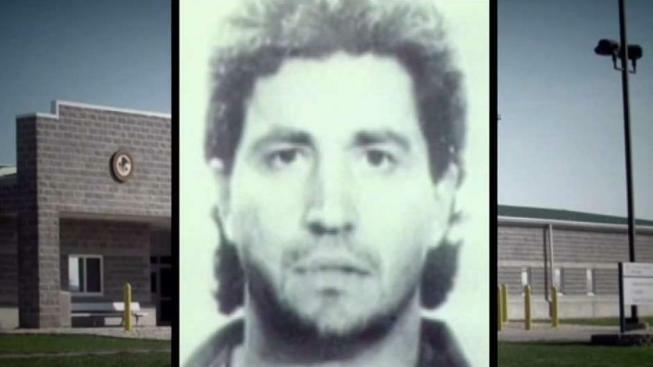 Gustavo Falcon vanished after the indictment and spent some 26 years on the lam before he was arrested by U.S. marshals in April 2017 near Orlando, where he lived under the fake name Luis Reiss with his wife. Investigators tracked down Falcon after the false name surfaced in a 2013 car accident near Kissimmee, Florida, and was linked to a house in Hialeah, Florida, once owned by Falcon. Gustavo Falcon was sentenced to 11 years in prison last year. Augusto Falcon and Magluta were acquitted at a 1996 trial, but it turned out that the pair had bought off witnesses and at least one member of the jury, who was sentenced to 17 years in prison after admitting taking a $400,000 bribe. Magluta was tried a second time and convicted of drug-related money laundering in 2002, receiving a 205-year prison sentence later cut down to 195 years.